In the past, people had to rely primarily on their own direct labor to accrue the resources they needed to survive. They hunted, plowed the soil, or created items to sell or barter. It was a work-intensive way of life that left little time or energy for leisure pursuits. Throughout much of the 20th century, things were little better. Long hours of sitting in front of a desk replaced toiling in the fields for the average person, and true freedom was still a distant dream. Fortunately, the vast interconnectivity offered by the Internet has given us the platform we need to change all of that. Today, it’s possible to earn what is known as “passive income” online. 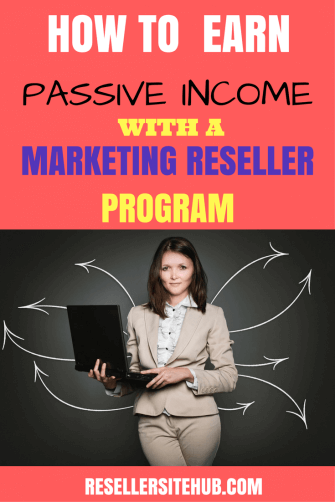 Passive income is a system wherein a person’s business can continue to generate revenue even when he or she is not actively producing the main product or service being offered. This sounds complicated, but in reality, it’s not. Amazon, for example, is a reseller: Rather than designing and manufacturing most of the products they sell, they resell existing products and take a cut of the profits. For both Amazon and the sellers that use the platform, it’s a win-win situation. Amazon makes a massive amount of money without having to employ many staff members or absorb manufacturing costs. Meanwhile, manufacturers and retailers don’t have to worry about carving out a market for their products because Amazon is providing them with a popular, well-established marketplace. Other examples of this system include resellers operating on Shopify and Ebay, i.e., people who locate interesting products that are as yet unknown in the American market and resell them on ecommerce sites. What many people don’t realize, however, is that this concept can extend beyond the realm of physical goods. “Virtual” goods and services, like websites and online marketing services, can also be resold. How does this work? It relies on the power of outsourcing to connect customers with bespoke solutions that meet their needs. An intermediary (in this case, us) will build and design a website and/or marketing platform using talent and resources from a supplier. You can then take that website or marketing platform and immediately begin using it to generate a profit. Once again, this is a supply chain that benefits everyone involved. There are a lot of talented people out there who can create virtual services, but they may not have the desire or the ability to sell them directly to customers. We fill in this gap and connect their talent to people like you who can turn it into a business opportunity—One that you can fulfill from the comfort of your own home. Why Use a Marketing Reseller Program? • Establish a list of people to email content to. These people have to be interested in what you have to say or they will simply opt out of receiving your emails. Getting them interested can be challenging, to say the least. • Create content to email to your audience. This content has to be eye-catching, informative, and have all of the elements needed to grab and hold people’s attention. Once again, accomplishing this is easier said than done. • Send the content to your audience. Bulk emailing is not for the faint of heart. Most standard email providers will not allow you to send too many messages per day (as an anti-spam measure) so you’ll need your own (paid) email domain. You’ll also have to figure out how to send thousands of emails efficiently. Unsurprisingly, businesses pay good money for other people to manage their email marketing campaigns for them… And this is where we can work together. Let’s say you decide to offer your customers a Niche Specific Email Broadcast Service for $99 per month. But, instead of doing all the hard work described above, you get us to do it. All you have to do is sell this (very popular) service to your customers, set them up for weekly or monthly reoccurring billing, then watch the profits start rolling in. If you charge $99, you will make $84 net profit every single month, without having to do anything except interface with your customers… And this is just one area where marketing reseller programs can be highly lucrative. We can also help you resell social media marketing services, search engine optimization services, branding services, and even app development. In all of these instances, our suppliers will do the hard work of setting things up and creating content. You just have to relax in your home office and resell the aforementioned services to interested parties. You can work on your own time, at your own speed, and it will hardly feel like “working” at all. The Internet has improved our lives in countless ways, and nowhere are these benefits more obvious than in the entrepreneurial sphere. Today, all you need is vision and ambition to begin quickly and easily generating revenue—You don’t need to spend hours slaving over a desk, you don’t need to put down a big investment. Ready to get started? Let us show you how it’s done. Check Out Our 10 Reseller Business You Can Start Right Now!